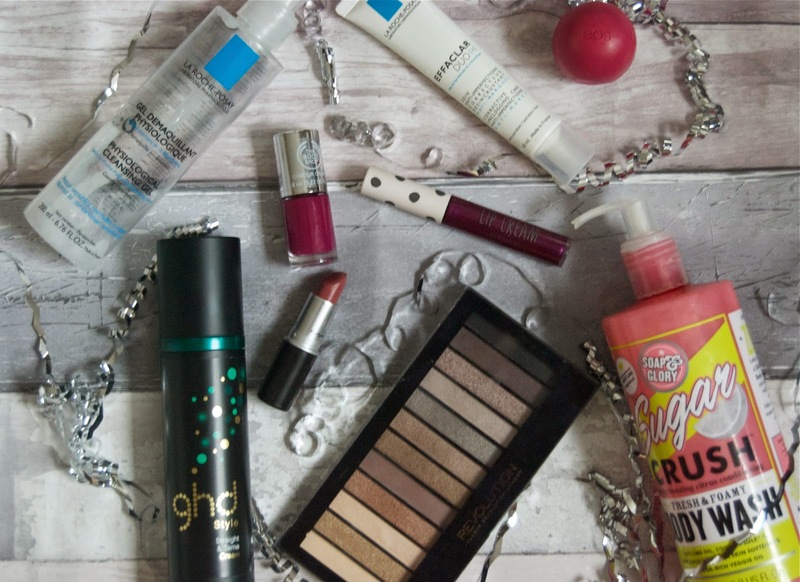 The new year has me thinking about what products have been my go to in 2014. When I find something that works I tend to stick to it. These aren’t products that came out for the first time last year, just things I have been using religiously. La Roche Posay’s Cleansing Gel is a little miracle worker. The introduction of this brand in to my life has brought me a pretty much spot clear face for the first time ever. This leaves your face feeling incredibly clean and it smells great too. As you can see from the picture above I love it so much this one is empty! La Roche Posay’s Effaclar Duo has also been a go to product for me. Not only does it make the perfect base for make-up but it has also faded some of the scars and redness on my face left from spots in my teenager years. Soap & Glory’s Sugar Crush body wash is a favourite of mine, not only am I a fan of pump-action shower products but it smells absolutely divine too. The scent reminds me of starburst sweets and it does a great job of waking you up in the morning. The EOS lip balm was pretty much impossible to get hold of in the UK, now everywhere seems to be stocking it from Topshop to Urban Outfitters. This is so handy for popping in your bag and I really like the raspberry and pomegranate scent. It leaves your lips really smooth and I can’t lie, I love the quirky shape. I was on the look out for the cliche ‘your lips but better’ shade for a while and discovered Creme in your Coffee by MAC. It’s such a lovely shade and it’s a great everyday lipstick for when you don’t want a dramatic look but you don’t want bare lips either. I’d never tried any of Topshop’s make-up range until last year, I started of by buying this lip cream in Lotus Flower. It’s very different to the usual matte shades I go to but the colour is so rich you kind of forget it’s actually pretty much a gloss. I was lucky enough to get my hands on some of the new Body Shop nail colours at Fashion Week. I have to say I was really impressed with the colour pay-off and the longevity of the polish. I’ve only got 4 at the moment but I’ll be sure to grow my collection in 2015. I’ve had this ghd straight & tame cream for a while now but I’ve been using it quite a lot in the latter half of the year. When the weather changes so does my hair so I need something to keep it under control. This does a great job in taming each individual hair and leaves me with something I can style easily. It smells really good too and the scent lingers with you all day. As I’m really into my neutral eyeshadows picking up Makeup Revolution’s palette Iconic 2 seemed like a no brainer for me. For £4 you get 12 eyeshadows which all have really good colour pay-off, this is great if you want to experiment with looks but don’t want to break the bank.